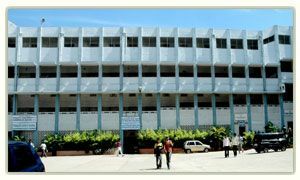 Seshadripuram Evening Degree College was established in the Year 1971 by Seshadripuram Educational Trust, It is one of the constituent Colleges of the Bangalore University.. In the beginning, the College catered basically to the needs of those who were in employment but who had a desire to enhance their educational qualifications and achieve higher standards of learning. Seshadripuram Evening Degree College embodied the spirit of social responsibility and cultural awareness reflecting the aspirations of the students. We look forward to the 21st century as a challenge and an opportunity to build our college as a vehicle of change and growth to prepare students think critically and act responsibly in a rapidly changing global environment. Seshadripuram Evening Degree College, SEDC as we call it, is located in the center of the city near Nehru circle and features a pleasant learning environment.